The Skirball’s latest exhibition, Global Citizen: The Architecture of Moshe Safdie, explores Safdie’s nearly fifty-year international career — his projects span the globe from Isreal to North America, and recently to China, India, and Singapore. 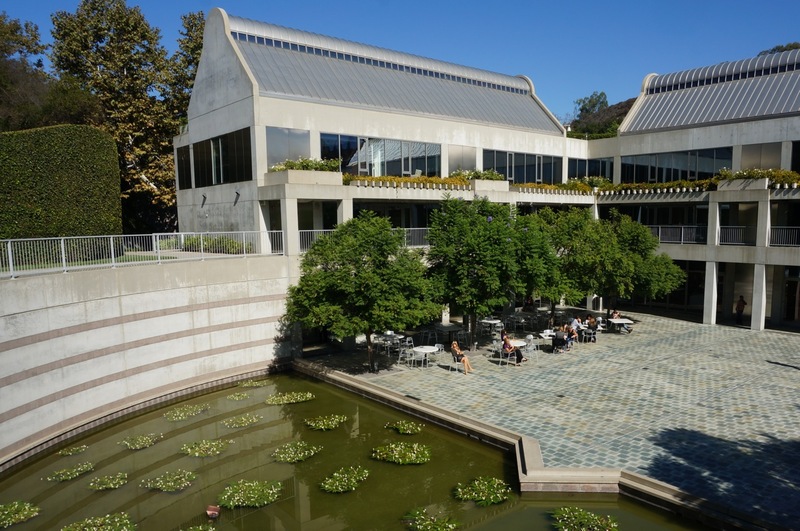 Moshe Safdie designed the Skirball Cultural Center complex and this exhibition coincides with the opening of its final building Herscher Hall and the Guerin Pavilion. Moshe Safdie at the Global Citizen opening. Photo courtesy of the Skirball Cultural Center. 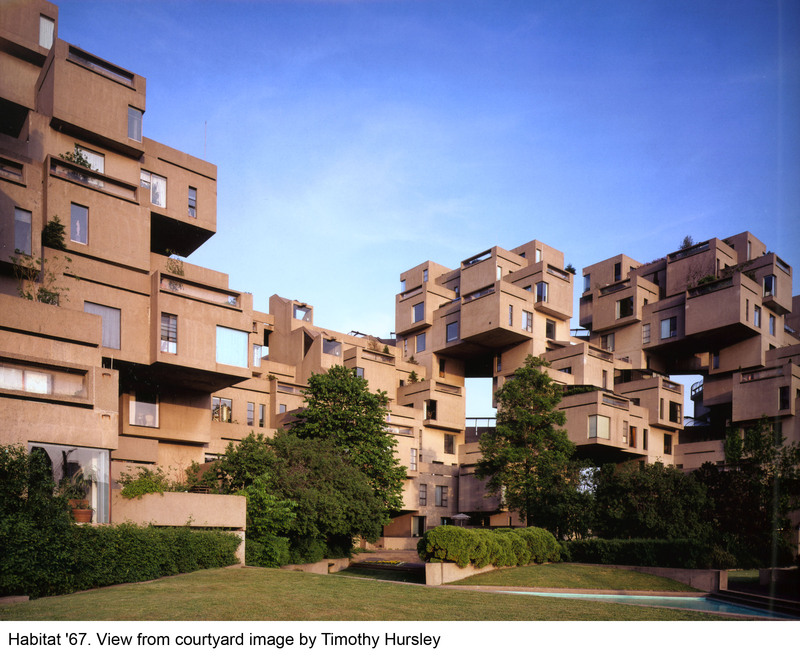 The exhibition begins with Habitat, the iconic housing complex that Safdie designed for the World Expo ’67 in Montreal. Habitat launched Safdie’s career and won him international recognition for its radical solution to affordable, high quality, urban housing. Habitat’s design utilizes a system of stacked prefabricated concrete boxes. In this gallery, you’ll find an actual Habitat ‘67 prefabricated bathroom and a laundry room (below) equipped with Safdie’s space-saving innovation, the world’s first stackable washer and dryer. While Safdie’s projects are impressively diverse — an international airport, a public library, and many world class museums and cultural centers like the Skirball — they are also very similar. Each illustrates how Safdie focuses not only on the function and aesthetics of his buildings, but also on the people who inhabit them. 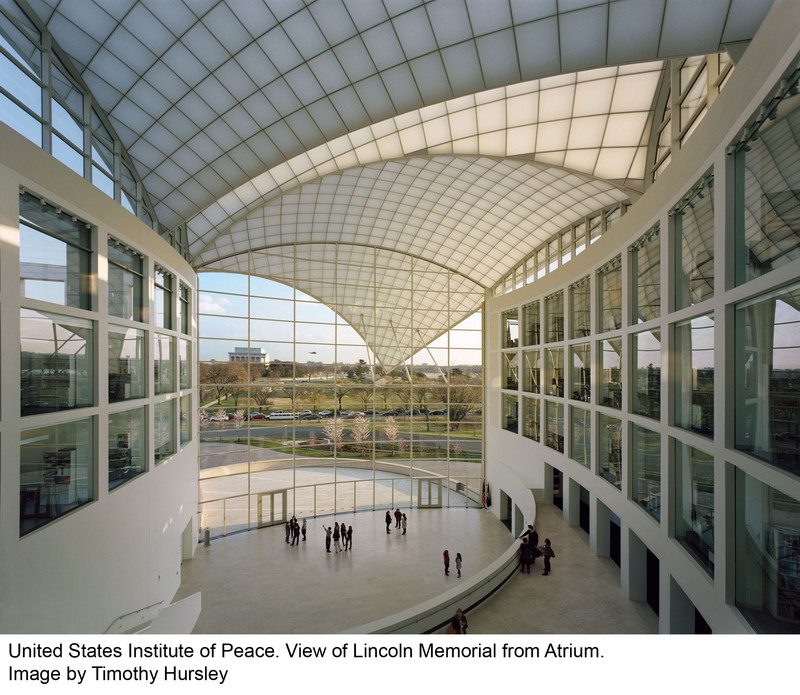 Safdie employs the elements of space, shape, and light to encourage people to commune with a building’s natural landscape and with each other. Take time during your visit to explore the Skirball campus to see this for yourself. You’ll discover lots of interesting architectural features and public spaces like the beautiful outdoor courtyard below, located just outside the museum cafe. 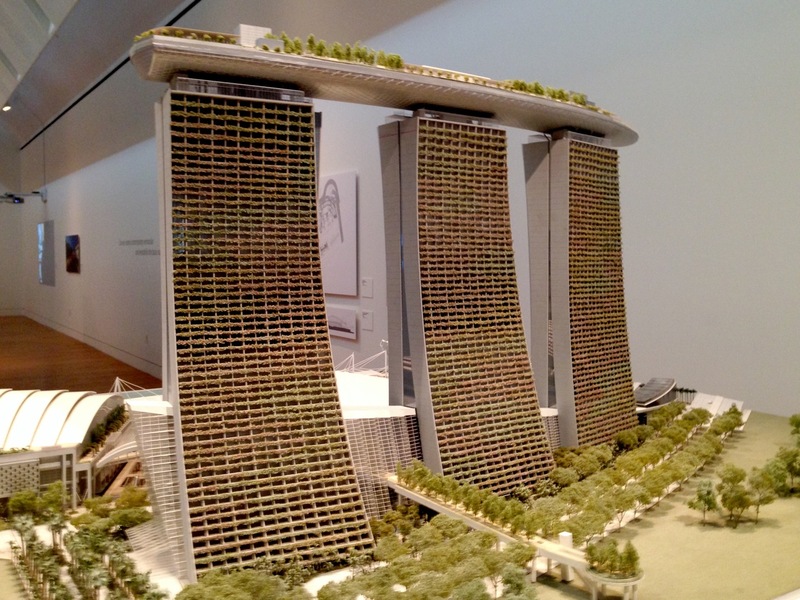 Touring the exhibition, I couldn’t get over just how utterly creative Safdie’s building projects are, especially the Marina Sands Singapore model (below). It’s hard to believe that its otherworldly design actually exists in real life. But it really does, and there’s a photo on display to prove it (below). The most stunning feature of Marina Sands is the SkyPark on the top. It connects the three towers and has lush gardens and an observation deck with breathtaking views of Singapore. In the final section (below), you’ll see several models showing how Safdie reenvisioned his Habitat project for the future by addressing contemporary issues like urban density. Safdie’s incredible architectural designs are sure to inspire visitors young and old, especially Lego and Minecraft obsessed ones like my children. So be sure to check out the Global Citizen exhibition activities listed below where you can design your own creative architectural wonders. See you in the galleries! Recommended for children 8+ yrs. It’s a large exhibition which might be challenging to navigate with young children, and most of the models are at a height that makes viewing difficult for little ones. Building Activity: Family fun building unique structures out of recycled industrial materials with the folks from Trash for Teaching. February 22 and 23 (drop-in 10:00 am- 4:30 pm). All ages. Lego Day: A Celebration of Building and Architecture. Sunday, February 9, 10:00 am-4:30 pm. All ages. 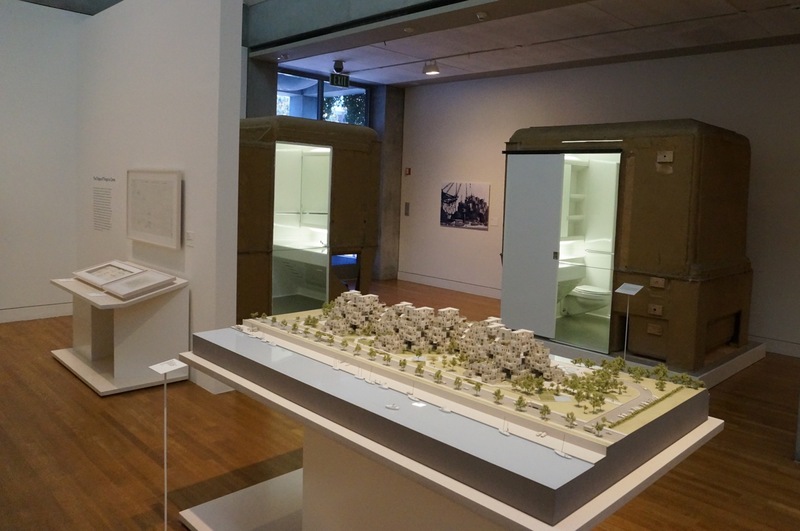 Family Guide – The Global Citizen Family Guide has great exhibition highlights, fun activities, and a walking tour of the Skirball’s campus designed by Moshe Safdie. 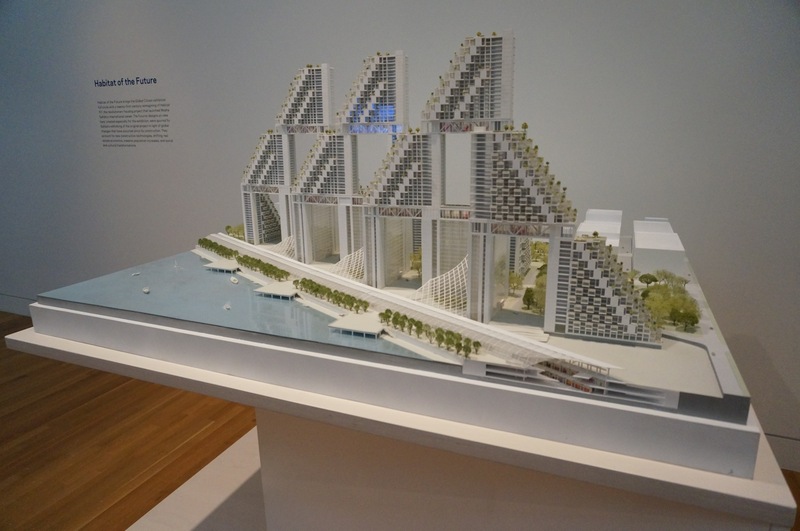 Global Citizen: The Architecture of Moshe Safdie is on view at the Skirball Center from October 22, 2013 through March 2, 2014. See the Skirball’s websitefor museum hours and directions.